Acupressure is a technique that involves using body's own energy to accelerate healing. 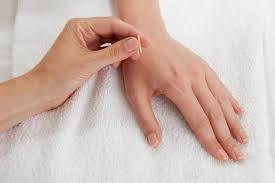 Like many other conditions, acupressure works quite effectively for diabetes. You may have Type 1 diabetes or Type 2 diabetes. In Type 1 diabetes, your body does not produce enough insulin to digest sugars. In Type 2 diabetes, your body becomes immune to insulin and fails to digest sugar that is outside the blood. Acupressure is an effective option for diabetes and helps regulate blood sugar levels in the body. Unstable blood sugar levels can give rise to a number of health complications. While diabetes cannot be cured completely, it is possible to keep blood sugar levels in check. Acupressure is a great choice, but you need to know which point to press to get desired results. Here is what you need to know. Place your finger about 2cm below the knee and massage the area for 5 minutes. Apply gentle pressure only. Do it every day to improve your digestive system. Studies show that diabetes usually begins with heartburn, and knee acupressure may help improve digestion and prevent heartburn. The technique also helps prevent aging, arthritis, and other types of weaknesses. 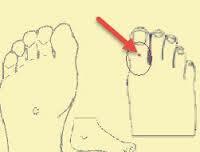 In terms of acupressure for diabetes, you can apply pressure underneath your big toe. Use your fingers to apply gentle pressure. If you find it difficult to do it yourself, ask a friend to help stimulate the point. The point helps stabilize blood sugar levels and works great for diabetic patients. You can find this acupoint near the side of your wrist – it is on the side of your little finger. The point has direct connection to your heart and proper stimulation will offer a number of health benefits. It works great to control stress from the heart. You should stimulate this point for at least 5 minutes. Do it every day to have a stress-free heart, which in turn will help control your diabetes. You can find many acupressure points on your feet that control a number of health conditions, including insomnia, hypertension, and diabetes. To control your blood sugar, you need to find a point on the front side of your foot. It is close to your largest toe and the second toe. Look for a joining point here and then move your fingers 2cm below the point. 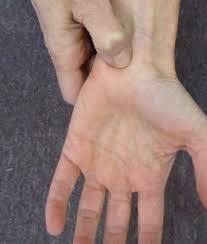 Now, massage this point for 3-5 minutes daily to control your diabetes. Repeat the same on both feet. Acupressure for diabetes is very effective if you know where to press. You can find this point a little below the back part of the knee – it is right above your calf. The point has direct connections to your urinary system. By stimulating this point, you will encourage your body to clear impurities from your system. Regular stimulation of this point works great for diabetics who struggle with excess urination. Be sure to stimulate this point for 5 minutes every day to get desired results. Located on your food between the first (big) toe and second toe, you need to stimulate this point regularly to help control your blood sugar levels. Be sure to apply mild pressure only. Try to massage the area while moving your fingers in a reverse circle. Massaging it for 3 minutes a day will produce impressive results. Regular stimulation of this point helps relieve stress and depression. Avoid stimulating the point if you are already feeling drained or tired. 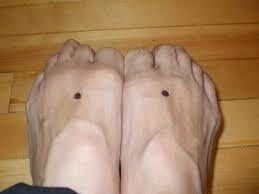 Acupressure for diabetes may also produce good results when you stimulate inner-foot or kidney point. You can find it between the Achilles muscle and anklebone. Once you have located this point, apply gentle pressure on it to stimulate it. Just apply pressure for 3 minutes every day to improve the production of insulin in the body. 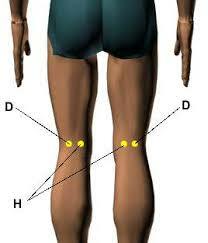 Also called Stomach Point, it is located in the inner side of your lower leg. The boney protuberance on the side of your ankle, right at the lower end of the fibula is called malleolus. 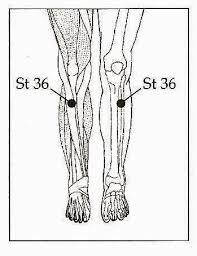 You can find Stomach Point about 8cm above your outer malleolus. Once you have located the point, apply pressure to this point for a few minutes. The point only responds to firm pressure, so you have to put in some effort here to stimulate it. Intestine Point or Hand Valley Point may also prove beneficial in the management of diabetes. You can find it between your thumb and index finger. Once you have found the point, apply firm pressure and then massage the joint area for some time. Regular stimulation helps eliminate the excess heat from your body and keeps you energized. It reduces stress as well. You should be stimulating this point every day to get good results.